Well, I finally forced myself to get back out in the woods. I’ve been so busy with other things, hiking has taken a back seat. It has been probably 3 or 4 months, but with the beautiful weather I took a day off work and decided to see how bad the winter damage to the Clackamas River Trail was. 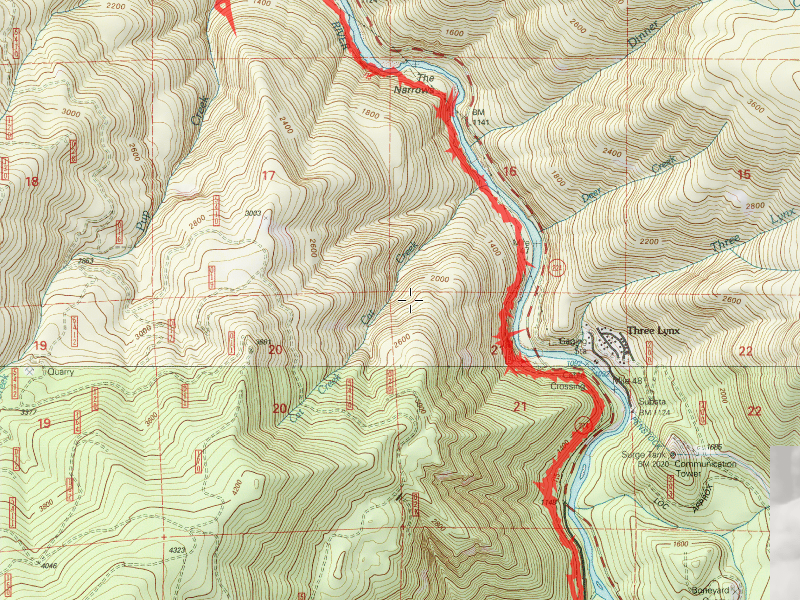 I started from Indian Henry (the east end of the trail), and went to Pup Creek Falls and back. A little breezy and cool at times, but it was a very nice day. The trail was in pretty good shape, with almost all of the downed trees cleared, except for a couple of REALLY big ones. There were a LOT of trees cut off the trail. I didn’t count, but I’m sure it was more than 50 of them. One of the really big ones had a foothold cut into to make crossing it easier, the others could either be gone around or under (if you squish yourself). All in all, the trail is in pretty good shape. I had forgotten how much beautiful old growth is on that trail. It has probably been 3 or 4 years since I did this end of the trail. 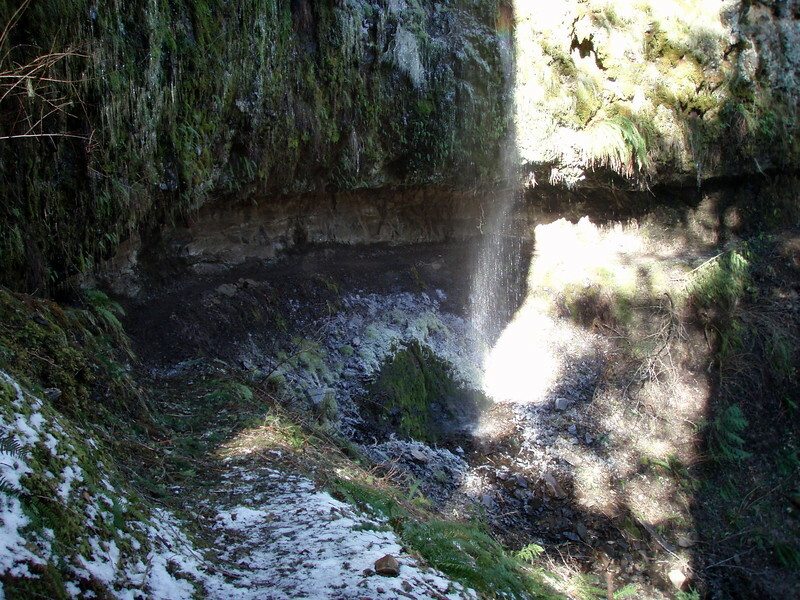 I had also forgotten about all the little waterfalls and the “grotto” that you walk behind. It is kind of like the big falls at Silver Falls, just on a smaller scale. 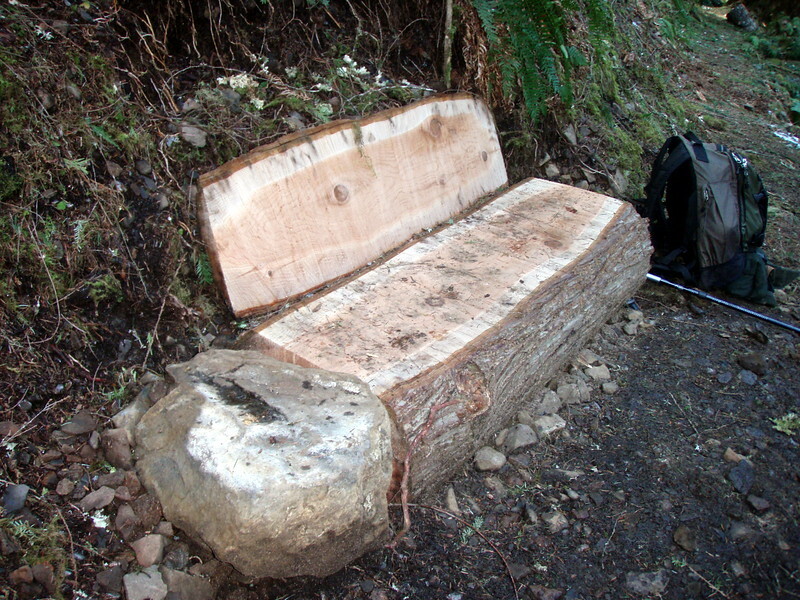 The other really nice thing was that someone made a very nice new bench seat next to Pup Creek Falls-even better it was made out of a cedar log, so hopefully it will be there for a while. The bench is very comfortable, and makes a great place to eat lunch and watch the falls!